Jesus and Jews have not always got along well together in Christian scholarship but today (and for some decades now, especially since Geza Vermes published Jesus the Jew) they have been rollicking along just fine. So close are they that some scholars have been known to censure anyone who attributes to Jesus Hellenistic tropes of “latent anti-semitism”. 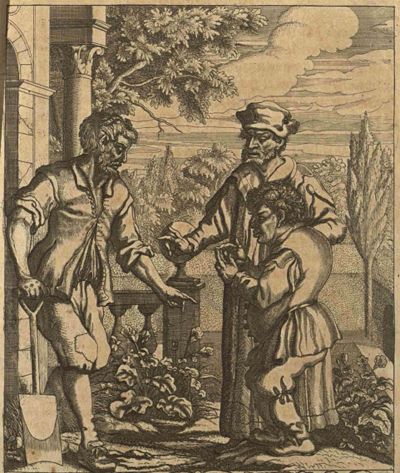 Scholars like April DeConick and Louis Painchaud have suggested that the modern tend to find some good in Judas is an outgrowth of a powerful cultural need to absolve our collective guilt over the treatment of the Jews in the wake of World War 2 and the Holocaust and the widespread anti-Semitism preceding those years. Both scholars argue that the National Geographic presentation of the Gospel of Judas portrayed Judas as a hero as a result of wishful and tendentious translations the text. Both argue that in fact the Gospel of Judas by no means presents him as a would-be saint. But back to Jesus. Of course Jesus was a Jew. But traditionally many Christians have been taught to think of him as opposing what was essential Judaism of his day, that is, the self-righteous, legalistic and judgmental Pharisees. That concept has probably historically fed in to waves of antisemitism throughout history. Now I fully agree that that traditional perception of Judaism is a misplaced caricature, the product of hostile Christian invention. That that simplistic notion has been replaced by more nuanced reality in the scholarly literature is a good thing. But does the emphasis on the Jewishness of Jesus also indicate that Christian scholars are working outside the zone of their natural Christian biases? By no longer claiming Jesus “for themselves” and by implication as having no part with Judaism, are Christian scholars necessarily working towards a more neutral scholarly venture? I think not. The reason is a new book I came across, What every Christian needs to know about the Jewishness of Jesus : a new way of seeing the most influential rabbi in history by Rabbi Evan Moffic. And discovering a Jewish Jesus is not just an academic exercise; it has widespread implications for the health of Christianity. In some sense, we cannot claim Jesus as our own anymore. He was Jewish, we need to hear him in his own Jewish context, and we need to hear from Jewish voices about how they read this rabbi from Galilee. Personally, I learned more from my Jewish brothers and sisters about Jesus and his world than I ever learned in church. . . . I believe we are better people of faith when we bring our experience into a real conversation with those from other faith perspectives and convictions. The Jewish-Christian dialogue is not a politically correct game. We are conversing about meaning and truth, beauty and love, family and forgiveness, and the mystery of God. What could be better! . . .
Jewish perspectives on Jesus clarify, strengthen, and take further some Christian convictions about his mission, teaching, and life. . . . This new era of Jewish-Christian dialogue is just dawning. In some sense, it’s still very fragile. 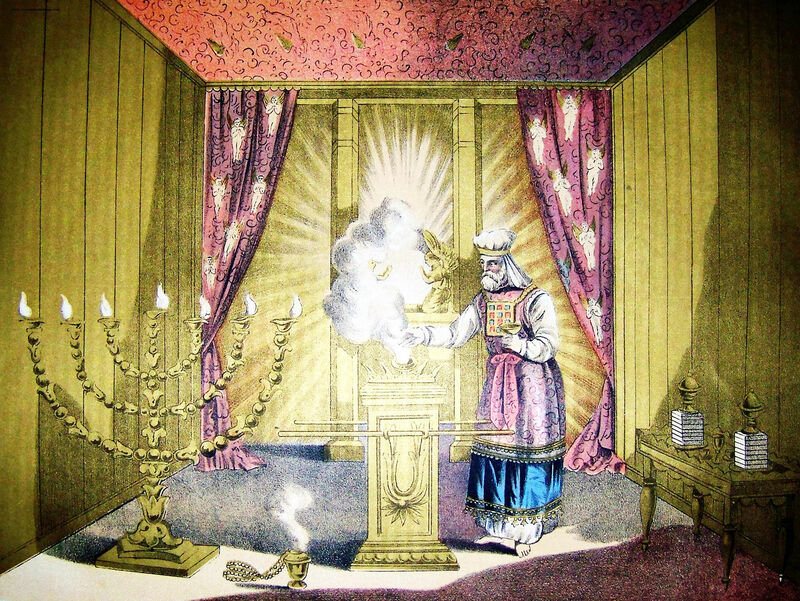 It started in academia and now is spilling out into the Synagogue and the Church. Moffic, Rabbi Evan (2016-02-02). 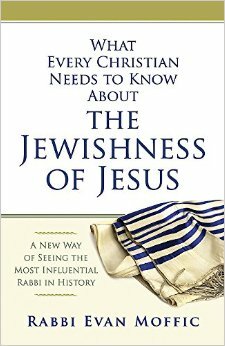 What Every Christian Needs to Know About the Jewishness of Jesus: A New Way of Seeing the Most Influential Rabbi in History (Kindle Locations 62-83). Abingdon Press. Kindle Edition. Just to prove the “bad Jesus” point . . . . Yes, slavery is not wrong at all if the system is run by “good people”, no doubt the Christians. Indeed, the implication is that slavery is a good way to treat people who have been guilty of “misconduct”. The Bible’s laws on slavery were designed to “mitigate evil”. Of course. No-one was allowed to beat a slave so severely that he actually died within a day or two of the flogging (Exodus 21:21). The down side of slavery is that “in a fallen world” there is a certain “imprudence” to give non-Christians such powers over another. The worst that can happen, it seems, is that such masters might stop the slave worshiping God. And what sort of god does the Triablogue author lament the slaves are unable to worship? God is allowed to commit barbaric and genocidal acts because he is God. Only God can kill a baby to punish a parent or snuff out whole populations. Only God can do such things and still be Good and worthy of our worship so that we all willingly submit ourselves to him as his slaves. Meanwhile the Pope, the Great Whore of the Apocalypse, quite rightly protests: Pope Francis Calls Right-Wing Christian Fundamentalism a Sickness. But isn’t the sickness itself the consequence of lending public respectability to the same sort of unverifiable faith-based reasoning that Pope himself defends? I am going to have to re-read and re-think the Gospel of Mark. I have just read a two-part article in 2007 issues of the Journal for the Study of the Historical Jesus, “Jesus as the High Priestly Messiah”, Parts 1 and 2, by Crispin H.T. Fletcher-Louis. The article adds some weight, I think, to the plausibility of the existence of pre-Christian Jewish sects who expected a messiah who must die. But the article doesn’t go that far at all. That’s an inference I draw from it. 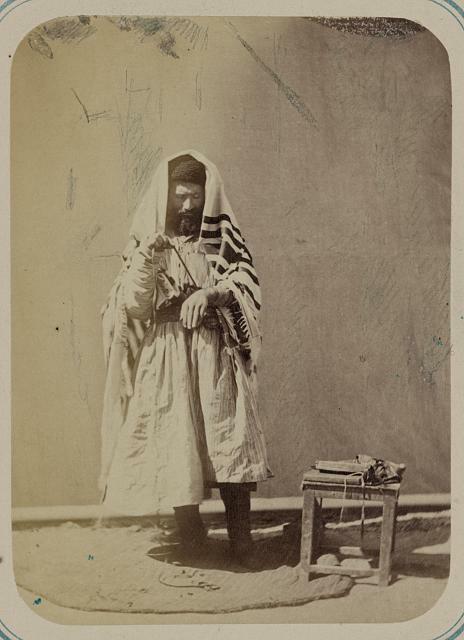 Jewish man, wearing a prayer shawl (talit), wrapping his arm in phylactery. If you’ve been reading Vridar over the past few years, you’ll recall that we’ve tangled with the late Maurice Casey and his student, Stephanie Fisher, regarding the historicity of Jesus in general, and the Aramaic background of the New Testament in particular. In a nutshell, Casey (and others) believed that the language Jesus and his followers spoke — Aramaic — holds the key to understanding the gospel of Mark and the double-tradition material usually referred to as “Q.” Specifically, he argued that his “original” reconstructed Aramaic accounts provide a window into the authentic words and deeds of the historical Jesus. Is that what the historical Jesus really said? It seems just as likely that Mark was trying to contradict a tradition that Jesus shouted for help from Elijah while on the cross. And that help never came. Just as he explained how we “know” Jesus arose bodily from the dead by inventing Joseph of Arimathea and a (suspiciously convenient) nearby, unused rock-hewn tomb that was later found empty, Mark may have rationalized Jesus’ plaintive “Elias! Elias!” with a scriptural reference. He would thereby have deflected an embarrassing rumor with a quote from the Psalms that the reader could construe as a fulfilled prophecy. But TO’s comparison of the evidence we have or don’t have for Hannibal is misleading. He is drawing a quite false and confused analogy when he says that we should not expect any contemporary evidence for “an obscure [and “unimportant”] peasant preacher in the backblocks of Galilee” because we don’t even have any surviving contemporary records of Hannibal and other famous ancient persons. This is simply very bad reasoning. Sophism at its “best”. The first premise of the argument is that contemporary records of the great and famous like Hannibal and Boudicca and Arminius did not survive. The second premise is quite unrelated: there were no records that were ever made of Jesus. The reason we have no contemporary records of some famous people of ancient times is that they were lost. Yet the argument for the absence of records about Jesus is not that they were lost but that no-one bothered to make any in the first place. For the analogy to work we would have to believe that there were records of Jesus made but that they also were lost in time. But the fact is Christians themselves came to assume responsibility for what ancient writings were preserved, so there was a powerful motive and means for those interested to preserve records of Jesus if they did exist, or at least preserve mention and epitomes of such records. Further, though we do not have contemporary records of a number of famous persons we do have records that are derived from contemporary sources about them. 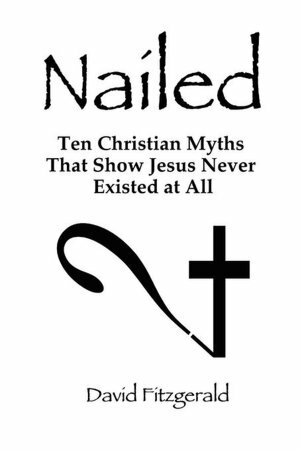 If we only had anything similar among secular sources for Jesus it is almost certain that no-one would ever have questioned the historical existence of Jesus. So we do, in effect, have more contemporary sources for Hannibal than TO want to concede, but they are explicitly conveyed to us through later historians such as Polybius. Yes, agreed we do not have direct access to them. But we do have evidence that they existed, that there were contemporary recorders of Hannibal. We have no evidence for the same with Jesus. Continuing from the Jesus and Dionysus (2): Comparison of John’s Gospel and Euripides’ Play . . . . It would be a mistake to confine our comparison of the Gospel of John’s Jesus with Euripides’ play. Bacchae has no reference to the Dionysian miracle of turning water into wine (see the first post in this series for details) yet numerous commentators on the Gospel’s Cana Wedding miracle of turning water into wine have pointed to resonances with the Greek counterpart. 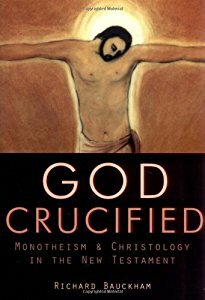 Further, it would be shortsighted to dismiss any comparison of the Gospel’s Jesus with Dionysus on the grounds that there is no obvious link between Jesus’ crucifixion and the dismemberment (the sparagmos) of the enemy of Dionysus. In fact, when the god’s enemy undergoes humiliation and dismemberment he is really sharing in or identifying with the sufferings of the god. His name is, after all, Pentheus, with verbal resonances with “pathos” (suffering); and we have seen that the purpose of the god is to come to relieve the suffering of humanity through his gift of wine, and the play itself speaks constantly of the suffering that Pentheus must undergo as punishment for his attempt to thwart the purpose of the god. It is through the suffering of Pentheus (identifying with the sufferings of the god) that the god who comes in apparent weakness, as an effeminate mortal, is exalted — his victorious and divine power is displayed for all! 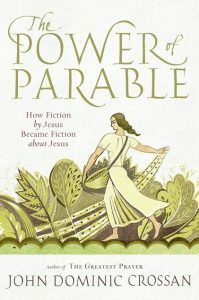 The “discovery of Dionysiac echoes in John’s story as a whole” (Stibbe, p. 2) — in particular with the miracle of Cana, (the identification, one might add, of Jesus with the vine itself), the binding of Jesus, the dialogue with Pilate and the pathos of Jesus’ crucifixion — requires us to look beyond the tragedy itself and to look at all that the myth conveyed. Indeed, there are other myths where Dionysus inflicted the same punishment upon others apart from Pentheus. King Lycurgus of Thrace also opposed the worship of Dionysus. Dionysus punished him by sending him into a mad frenzy during which he dismembered his own son; subsequently his citizens pulled him apart limb by limb in order to remove the curse of Dionysus from their land. An early form of the myth is that Dionysus was originally born to Persephone, queen of the underworld (Hades). (It is not insignificant, for our purposes, that some of the myths tell us Zeus intended this new child to be his heir.) The jealous wife of Zeus (Hera) who had fathered the child persuaded the evil Titans to destroy the infant. Attempting to avoid capture by the pursuing Titans Dionysus changed himself into a bull, but was caught in this form and pulled limb from limb. The Titans then devoured these dismembered pieces of flesh. Zeus punished them by destroying them with thunderbolts, and from the ashes humankind was created, a mixture of the evil of Titans and the divinity of Dionysus. Through all of that chaos one piece of Dionysus was rescued, his heart, which was returned to Zeus. Zeus used the heart (the myths and means by which he did this vary) to give Dionysus a second birth, so he became known as the “twice-born” god. A later version of the myth, the one that lies behind the play by Euripides, is that Zeus had fathered Dionysus with the mortal woman, Semele. Again Hera sought to kill the child, this time before it was born, by challenging Semele to see Zeus in all his glory. When Zeus showed himself in all his godliness Semele, of course, was struck dead. But Zeus rescued the child from her womb and sewed it into his thigh until it was ready to be born a second time, from the god himself.